A storm has engulfed my church. I don’t know what will become of these allegations or where the truth lies, only that there is rot and evil extending deep within. It would be easy to despair, it is tempting to call it quits and walk away. And yet … though I am angry and disgusted by individuals and leaders and networks within the Church, I am also filled with a sense of peace, a knowing that God’s got even this and it is not out of His control. The Church isn’t the hierarchy, nor its leaders. The Church is the body of Christ and within His body I know many saints. I see so many good priests dedicating their lives to service; I see nuns and sisters devoted to works of charity and prayerful service; I see laity well-serving in their roles within the body of Christ. For every Judas, there are 11 disciples willing to lay down their lives. Sinners, yes; imperfect people, of course. But they – and the Church – are not the evil that has infiltrated it. Good & evil have always existed side-by-side, from Cain & Abel to the wheat & tares to Jesus on the cross between two revolutionaries: one repented and the other did not. Jesus, I trust in You. Fill your good priests and ministers and flock with Your peace, Your wisdom, Your fortitude and strength. Now is the time for your people to repent; to put on the full armor of God; to fall on our faces in prayer and Adoration and to place our trust in you, our King. Now be strong, … and work! For I am with you. This immediately struck me as being about me. My life is “this house” and I formerly saw myself as pretty glorious. I had a lot of self-confidence, thinking I was very smart, talented and strong. I didn’t really need anyone, I could do what I wanted and make things happen on my own. Ah, how time has changed my perspective! Looking back, the things I saw as “my glory” don’t seem so impressive any more. I realize, now, that I’m not so smart, not so talented, not so strong. Those aren’t traits that I value greatly, now, and I know in retrospect that I used to be quite afraid most of the time, and often angry. God promises He is with us, even as he tells us to be strong and to work! And I do see a more glorious house being built within me, better than the former and more valuable in my eyes, and His. I have more work to do, for sure. But in THIS place, He has given me peace. As I was reflecting this morning, God gave me a word for 2014: Peace. What wonderful timing for me … peace is exactly what I need this morning as I struggle against tears, missing my children who live so far away. Peace is something the LORD has been teaching me, that deep-rooted sense of Him in all of the areas of my life. And more than that, Peace is a place to which He has brought me. I know there will be challenges to this peace interiorly and exteriorly … but the LORD is my gentle Shepherd. 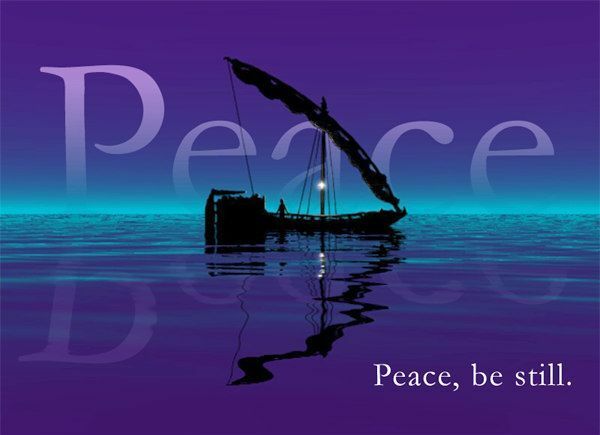 And for 2014, I am grateful that the word given to me is Peace. What a fantastic passage to read this morning! When Elisha prays and God opens the eyes of his servant to see the spiritual protection around Elisha, I am simply in awe and filled with questions. Is this around us all the time? Is it reserved for Elisha alone, or for all believers? Or all mankind? Or is there an evil army that follows and surrounds those who choose evil? I used to hear stories of people who “saw” angels (or demons) and the idea of that is so foreign to me; I’ve never had such an experience. I guess I often wrote it off as probably a mental illness. But several years ago I met a girl online who saw both – angels and demons – and she spoke so matter-of-factly about it and was very believeable. Did she see what Elisha saw? Why is the veil so thin for some people but not for everyone? Honestly, I’m not sure I would like that gift – I can see how it could be frightening. I’ve read many accounts since meeting Ginia and this passage certainly give credence to her experience. I think it’s comforting to know just how close spiritual protection is to us at each moment – it’s not far off or distant at all. I often pray for the LORD to protect me and those for whom I pray … I ask Him to give wider protection around us from evil. This vision has given me a new and exciting perspective. I visualize the prayers I am speaking and this visual is pretty awesome and completely Biblical! I also loved the way Elisha treated the enemies who had sought to apprehend and kill him. He led them safely away and though he certainly could have had them all killed, he chose to bless his enemies instead. He fed them … and he fed them well: “a great provision of meats.” And he let them go. If only we sought to treat our enemies that way first, instead of seeking to destroy them. Every time we strike and kill a leader of al-Qeada, don’t we create more enemies and people who hate us? Oh, what a different world this might be if we truly blessed them by providing food to them instead. I believe that is what Jesus taught us. Sadly, I don’t believe mankind really grasps that or is willing to “let go” and follow. And not just “mankind” in general, but Christians as well. I’m a firm believer in non-violence but all of my discussions have revealed just how tightly we hold onto fear and maintaining control our “selves” instead of trusting and following Jesus’ example. I don’t blame people – it is natural; it is “human nature.” Oh, but to be able to set aside our very human nature and step out in faith … how powerful we would truly be, then! A song of ascents. Of David. LORD, my heart is not proud; nor are my eyes haughty. I do not busy myself with great matters, with things too sublime for me. The LORD brought this Psalm before me two times yesterday in two different Bibles, so it was already on my mind when it was my scheduled reading this morning! You see, one of my frequent prayers is that the LORD make things very plain for me. I know I second-guess myself to a ridiculous degree. And here, He answers that prayer. The very thing that this Psalm spoke to me these last two days, it spoke to me last fall. Here is a post I had made in Dec 2010 titled Mysteries, and I couldn’t have said it better myself! 20 What is too sublime for you, seek not, into things beyond your strength search not. 21 What is committed to you, attend to; for what is hidden is not your concern. 22 With what is too much for you meddle not, when shown things beyond human understanding. 23 Their own opinion has misled many, and false reasoning unbalanced their judgment. I love that. I have been guilty of being obsessive about knowing Truth about various topics – searching and studying. But sometimes, as in these passages, God lets me know it’s ok for some things to remain a mystery. He quiets my spirit, and redirects me to attend to the works He has entrusted to me. I think it’s good to simply appreciate the mysteries. There is a peace in simply trusting God. 1Th 5:18 In all circumstances give thanks, for this is the will of God for you in Christ Jesus. I’m sure my journaling comments that day were fairly benign – we learn from our trials as much as from our blessings … that sort of thing. As soon as I closed my Bible the phone rang. It was my mom, calling to tell me that dad was in Omaha in ICU with a tear in his artery; she said it didn’t look good and whether or not I came home was up to me … but I probably wouldn’t make it in time to see him alive. I did arrive in time to see him again. We were blessed with an entire day together, my mom and dad, brothers and sister. Dad was awake and we talked, laughed, planned how the doctors would treat his aortic anuryism. But that evening when everyone else left for dinner, I was alone with him when he seizured or stroked, and died. I was able to pray to God and release my dad to Him, trusting in His ocean of mercy and love. And I’ve remembered that passage ever since, PONdered over it, and I’ve really, deeply learned it. I know, now, how Paul could give thanks for his trials. It isn’t so much what we learn, but for me it’s simply that when we turn to God, He draws us ever-closer to Himself. It is how He accomplishes His work in us, making us holy. 1Th 5:21 Test everything; retain what is good. 1Th 5:22 Refrain from every kind of evil. 1Th 5:23 May the God of peace himself make you perfectly holy and may you entirely, spirit, soul, and body, be preserved blameless for the coming of our Lord Jesus Christ. 1Th 5:24 The one who calls you is faithful, and he will also accomplish it. And thank you for my dad, and his life. He was an extraordinary man, very kind and gentle and I loved him dearly. Dark Night of the Soul … I have experienced this valley along with its fear, frustration, and wrestling with God like Jacob wrestled with the angel. It was not as long nor as dark as some people experience it, but I am so grateful, now, for that time of trial and to God for carrying me through. I’ve read two really great articles about the Dark Night of the Soul, and want to post them here. This blog post really spoke to my heart about the Dark Night of the Soul as well. “It is so dark in life. There seems to be no God at all.” I hear similar words echoed over and over in the letters people write me from all over the world. It might be experienced missionaries who have served for 20 years in a place, only to be disillusioned by their seeming lack of fruit. It might be a young guy struggling through family or spiritual wounds in life -or a young lady desperately trying to discern a vocation in darkness. But spiritual struggle comes to all of us sooner or later. Eventually when God sees that we are mature enough for unselfish love -pure love -real, sacrificial love -He hides His Face so that we can learn to search, to desire, to let go of all and everyone else in our quest to find Him and make Him our heart’s first love. But in the midst of such darkness within the soul, when God hides His Fatherly Face, how are we supposed to react in our lives? God does not want us to give in to the darkness, saying ‘Woe is me!’ Instead He wants us to look at His Faithful Love through the eyes of faith and hope -believing when we cannot see and hoping when we cannot hear -He wants us to rejoice in trust. I think that the greatest weapon God gives us in the midst of deep darkness within the soul is the gift and virtue of Joy. No, maybe we don’t feel ‘happy’ in our emotions in such a state. But He wants us to allow the Holy Spirit (Who we cannot know by our senses, but Who we invite to live quietly within us) to birth forth His spiritual gift of Joy. And as He offers this gift to us, we have to use our little wills to go along with Him. Joy is an ‘act of Charity’ as St. Thomas Aquinas would explain. And because Love is an act of the will and Joy comes from Love, then being joyful is something we can simply decide to live on earth, even in the Cross -especially on the Cross, the Epicenter of Love. In the midst of great darkness the act of Joy can become a great light to others. In the midst of the greatest interior struggles in my life, I have learned to smile at Jesus and yell ‘alleluia’ even out loud -just to make the devil mad and to confirm in my own will that I want what Jesus wants -period -and I trust Him. The ‘saints of joy’ are my examples in this -for no matter how they suffered, they found a way to bring people joy because they loved. And when you walk into a room where there is a person who is sad or needing love -and you feel squashed within your own heart -but you decide to be joyful and force yourself to smile and speak kind words to them, somehow the Joy gives you a glimpse of the Light in your own heart as well. For Joy comes from the Holy Spirit -and when we are joyful, we are tapping into His presence singing within our hearts. And who knows, you just might make someone else happy along the way.